Suburbia has a bad name. As a form of development, it’s associated with sprawl and waste, oversized homes, cookie-cutter communities, and a dreary dependence on automobiles. Yet suburban land is also where most people live — not just in the United States, but around the world — and a new exhibition at MIT argues that it’s time to start thinking seriously about what suburban development should look like. The idea that the suburbs are the future is at odds with major currents of academic thought and popular culture. There, we imagine people piling into ever-higher high-rises, either as part of a sleek utopia or a grimy end-of-days scenario. In both cases, the future is set in cities. But that projection is at odds with trends on the ground. According to a 2014 United Nations report, only one in eight urban dwellers worldwide lives in dense megacities. The rest live in flat, distributed settlements outside of city centers, which Berger believes is a trend that will continue for decades. 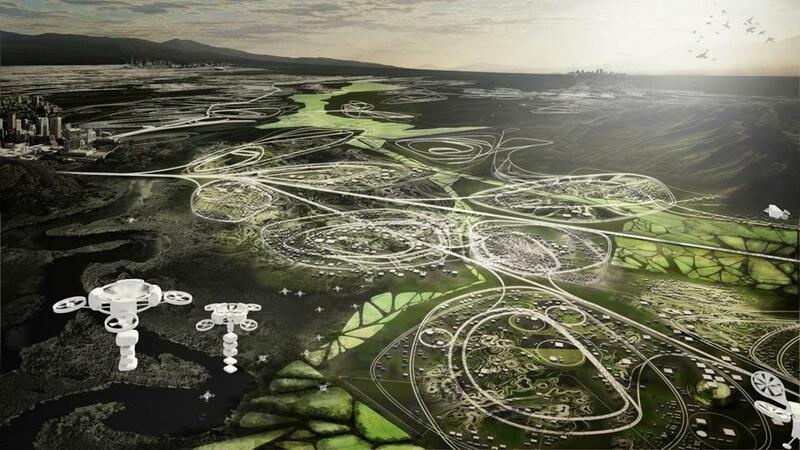 The rest is the subject of the “The Future of Suburbia” exhibition, which runs through April 2 and is being put on by MIT’s Center for Advanced Urbanism, where Berger serves as codirector. The exhibition features several parts, including photographs and video of suburban development around the world, and a model of what a well-planned suburban area of 3 million people might look like in the year 2100. Conceptually, the most unique feature of the model is that it presents a suburban area as a place unto itself — just like we’re accustomed to thinking about cities as places unto themselves — with no necessary attachment to any urban center. At the same time, the exhibition proposes ways in which the suburbs can provide services and ecological systems that support the city center — rather than simply serving as bedroom communities. The model is created in a polycentric design, with nodes of dense development and attention throughout to aspects of planning that would allow a large suburban area to fully support itself in addition to its nearest center cities. Berger imagines this sustainability could be achieved through new smart energy microgrids, hydroponic food, and autonomous driving technologies deployed across the broad suburban plain. It’s a vision that turns on a major reimagining of what we understand by the term suburban — or, as Bélanger prefers it, sub-urban — development. The MIT exhibition will be accompanied by the publication of a book, “Infinite Suburbia,” whose title gets at this idea. Now we think of the suburbs in terms of sprawl and assume that, after a certain distance, the concept exhausts itself. By contrast, the MIT exhibition asserts that, if developed correctly, there’s no reason the suburbs can’t go on forever.